A council in Gloucestershire has voted to ban the culling of badgers on its land. Farmers in the west of the county have been licensed by the government to shoot up to 70% of badgers in an effort to tackle bovine TB. A small part of the Forest of Dean falls within the 300 sq km zone, the exact location of which is secret. 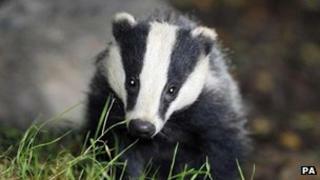 District councillors voted to ban the cull on the authority's land at a meeting on Thursday night.